"Keep an ear out for a fresh idea that seems like it’s you." 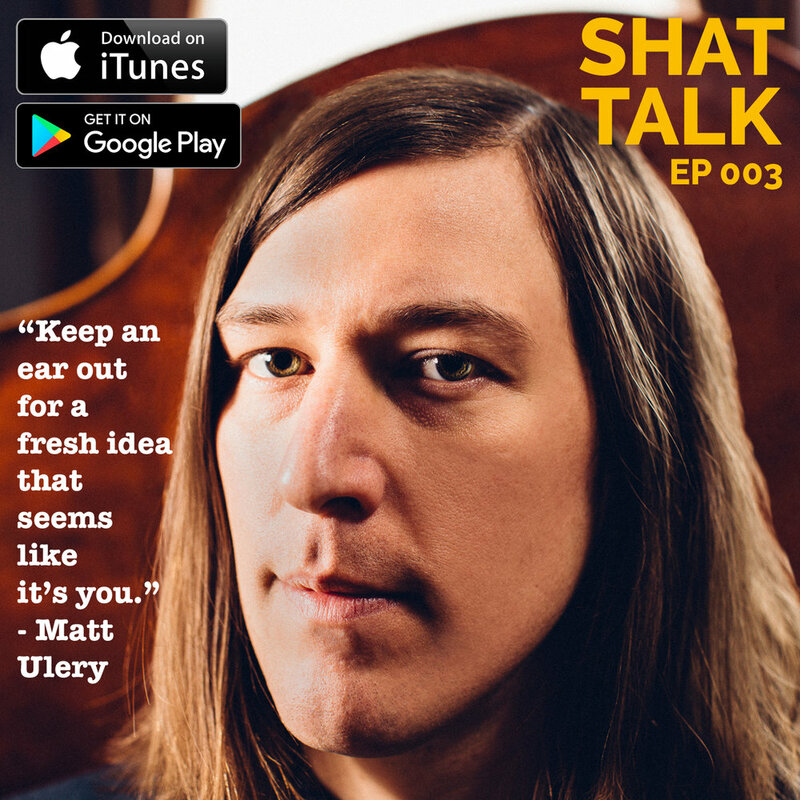 In Shat Talk Episode 003 I spoke with award-winning bassist and composer Matt Ulery who has just released his seventh record, Festival, on Woolgathering Records. Known for his sweeping lyricism, unconventional phrase structures, and expressionistic emotionalism, Ulery’s music is informed by the entire spectrum of jazz, classical, rock, pop, and folk – specifically American, South American, Balkan, and other European folk styles. Matt and I definitely talked some shat as we discussed his compositional process, the importance of developing one's inner musical voice, working as both a writer and sideman, and his continuing collaboration with Grammy Award winners Eighth Blackbird. Music samples from Festival courtesy of Woolgathering Records. Music samples from In The Ivory and By A Little Light courtesy of Greenleaf Music. In Shat Talk Episode 002 I spoke with award-winning Canadian pianist and vocalist Laila Biali who has been garnering world-wide recognition for performances at venues including the North Sea Jazz Festival, Tokyo’s Cotton Club, and Carnegie Hall. She has toured with Grammy award winners Chris Botti, Paula Cole and Suzanne Vega, and has recorded with and supported international icon, Sting. Laila and I Skype’d for over an hour and discussed far-ranging topics that included the fear of improvisation, arranging and finding one’s original voice, motherhood, and getting to work with your musical heroes and heroines. All music samples courtesy of Laila Biali. Ever wonder what it’s like to play with a diverse range of artists like Snarky Puppy, Erykah Badu, and Pat Boone, all while recording a weekly television show and releasing your own records at the same time? 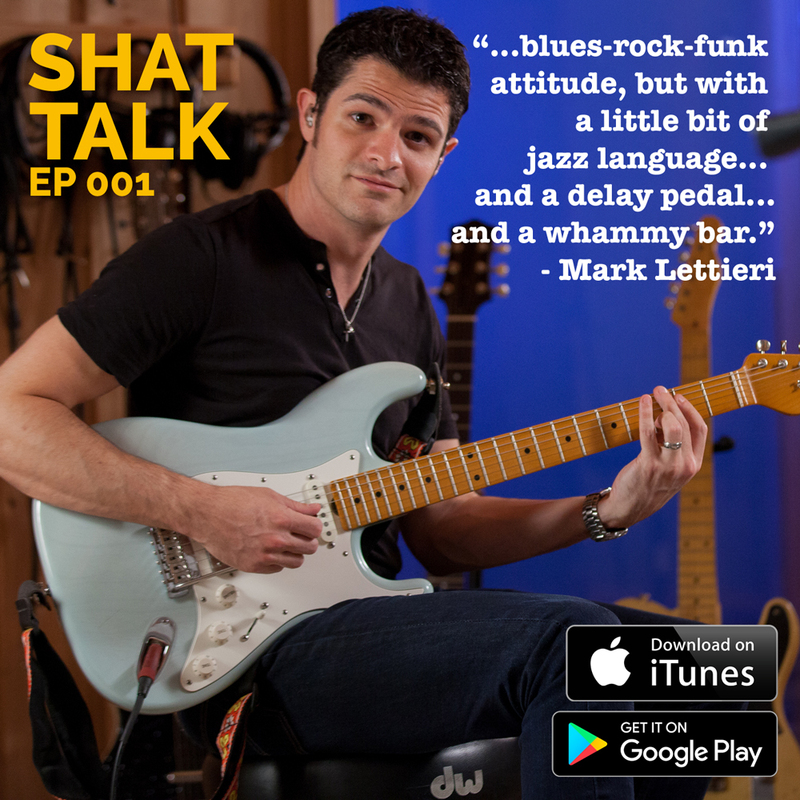 Guitarist Mark Lettieri talks about it in our inaugural interview. Some of Mark’s recent studio work includes sessions for David Crosby, 50 Cent, Snoop Dogg, Eminem, Adam Levine, Kirk Franklin, Lalah Hathaway, Lupe Fiasco, Keyshia Cole, and Xzibit. We caught up with Mark shortly after the release of his third solo album, Spark and Echo, and as he prepares for a joint tour of the Southeast US with keyboard phenom Shaun Martin. Music samples courtesy of Ropeadope Records and GroundUP Music.